Resistance training, or in this case free weights, is from my experience the most efficient way to increase lean muscle mass. It’s not the only way to do it, but through my personal experience, it is the most convenient and most efficient way. On top of that, it is a great way to build strength throughout the whole body. One of the main things worth noting, is that I believe it to be, purely from a training perspective, excluding nutrition, the best way to lose fat, more so than the common view that cardio is. The reason for this is that cardio will burn calories there, then and several hours after doing the cardio. On the other hand, weights will burn calories there, then, several hours after, but also, through the increased muscles mass that free weights can produce, will raise your resting metabolic rate, meaning you will burn more calories from doing nothing, simply because you have more muscle. Which is why I would rate it above cardio for losing fat (not that I have anything against cardio). Not to contradict myself, it is possible to gain muscle from cardio, but not large amounts. My approach when coaching on free weights is to drill in the importance of training all your major muscles in a relatively equal manner. You would not make a car half metal and half wood, similarly, with doing weights or resistance training, you should also train all your major muscles in an even manner, unless there are certain imbalances in which case a more strategic approach would be necessary. My main focus has always been on compound exercises where more than two joints are moving during the exercise. I would also do isolation exercises where only one joint is moving, in order to train individual muscles. Actually, when I say Kickboxing, I actually mean to say Muay Thai. 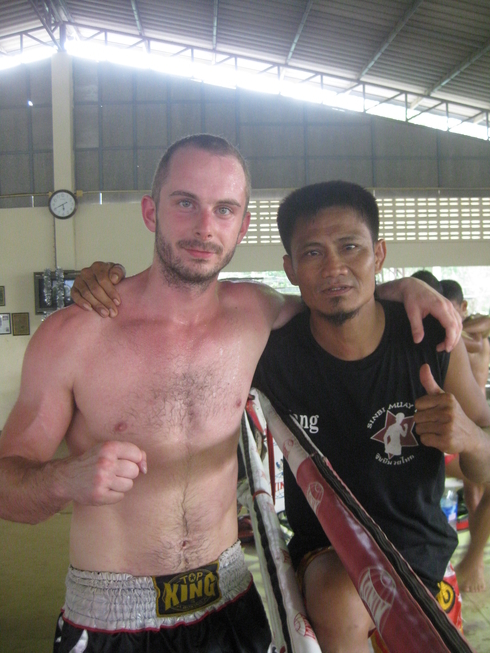 I only say kickboxing to avoid alienating people who have never heard of Muay Thai. So Muay Thai, a martial art known as the art of eight limbs because you strike with eight different parts of your body, feet, fists, knees and elbows. As a teenager, I attended boxing clubs but I was always drawn to fighting styles that involved kicking, mostly because I was fairly flexible in my legs and thought it made sense to make full use of my body. Muay Thai is a great choice of martial art because it is easy to get started and enjoy straight away, but also has deep complex and mechanical movements for those who want to take it further. It is also a superb way to work out and release stress. The main way in which I train clients in Muay Thai is from doing pad work. I provide wraps, gloves and shin pads for you to wear, while I hold pads and wear other protective gear to act as a real life dummy for you to practice on! I would start you out doing classic Muay Thai striking moves and helping you to execute these in the most efficient way possible, and if it is appropriate, we can then have light sparring sessions with each other in a safe and controlled environment. My own preferred method of training myself. Calisthenics, which is a Greek word translating to ‘beauty-strength’ is a form of resistance training where you only use your body weight. The thing that I have always loved about calisthenics is that you can do it anytime, anywhere and contrary to popular belief, there is always a way to make an exercise easier, or harder through bodyweight exercises only. Most people know calisthenics as exercises such as pushups, pull-ups, squats etc. But on a deep level, extreme calisthenics makes use of a very creative way of training whereby if any given calisthenics exercise becomes too easy, there is always a way to make it harder (or easier for that matter). For example, the easiest way to do a push up would be to stand in front of a wall and push yourself away from it. The opposite end of the spectrum would be something along the lines of a one arm fingertip push up or one arm clapping pushup. For those interested in learning Calisthenics on a deeper level, I teach this amazing training method through the principle of progression whereby I first define your current physical abilities, and then I coach you how to get from your current level of strength to a much further one by using progressive methods in order to move on to the next step in any given bodyweight exercise. You must first master the step you are on and when you do so, I will then help you to select the right exercise coaching you through it, whether it be squats, pull-ups, pushups, levers, human flags, the list goes on. People approach flexibility for different reasons. For some it is to help them in their chosen sport, for others, it is to move better throughout the day and for others still, it is a nice way to de-stress and take your mind off things. Whatever your reasons, if you want to get more out of your body, a good level of flexibility is a must to unlock your physical potential. Before I got into any formal way of training, I used to enjoy stretching as a kid in order to be able to kick higher. In my experience, greater levels flexibility can be obtained at any age, but it does seem to take longer to achieve certain stretching feats when you are older, but it is just as, if not more important. 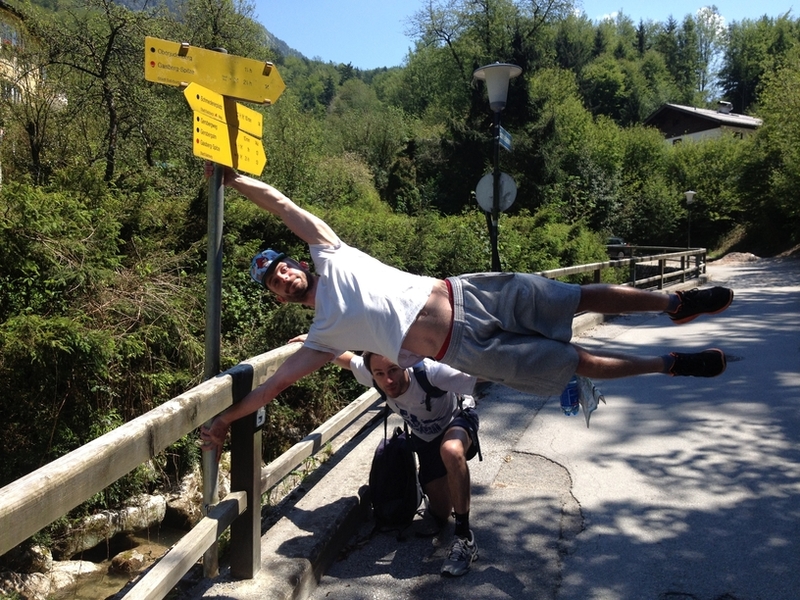 There are different ways to stretch. Here are a couple of my preferred methods. 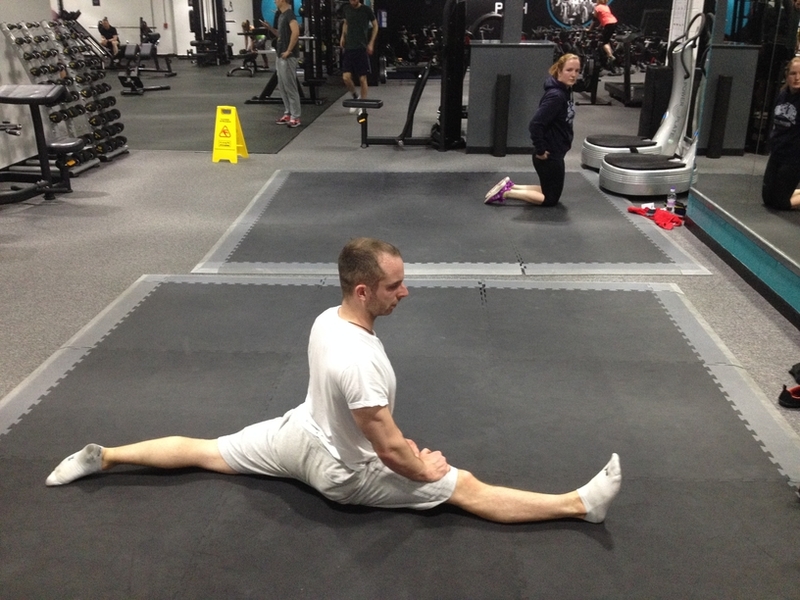 Stretching through movement, where you do certain exercises such as squatting closely in front of a wall in order for the wall to prohibit you of leaning too far forward, forcing your body into correct alignment and therefore stretching certain muscles in a more ‘active’ way than static stretching. And the opposite method to this, static stretching, which is the most commonly used method, where you find a stretch in any given muscle, and then hold it for a certain period of time in order to lengthen that muscle. 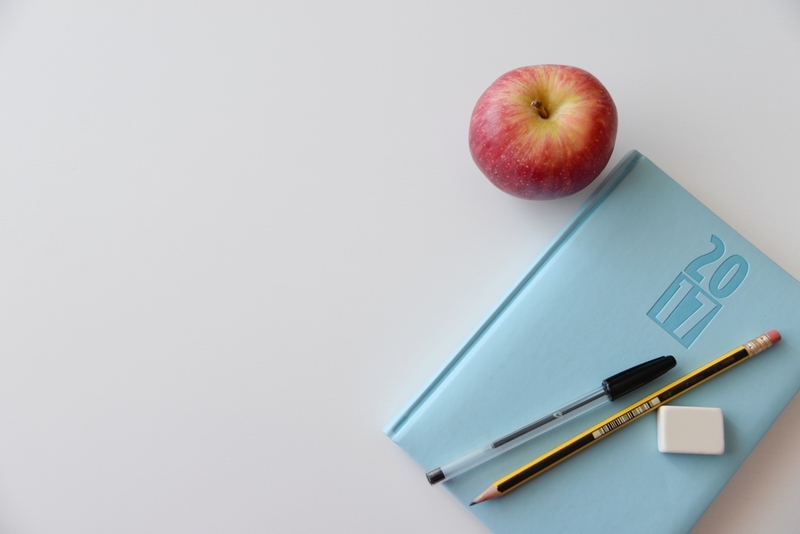 I use other methods but the one I choose for clients is dependent on what they need to achieve, but often it is a combination of two or more methods. When it comes to gaining or losing weight, they say that diet is 70% of the journey, and I would not disagree. One of the first things I do with the relevant clients is look at all the food they are eating, and from here see what we can do to make it better. There are essentially three main areas I am concerned with. What you eat/drink, how much you eat/drink and when you eat/drink. It is an important step to look at each of these three points one by one in detail and find a way of doing each one in the best possible way that will fit in well with your life. I think it is extremely important to take a bit of time out of your life to consider this. I have met many Europeans over the years who moved to Scotland and then a couple of years later they started to look like they were from Scotland. So let’s face it, our diet and movement culture over here is not great. The weather also has a big contributing factor in all this also. You don’t burn as many calories when there is less sun and people tend to comfort eat more in the colder months, of which we have many. There is a high depression rate in our nation and I believe that diet is not the root, but it is a part of the vine. And unlike the climate, this is something we do have control over. Kettlebells can be used in many different ways. 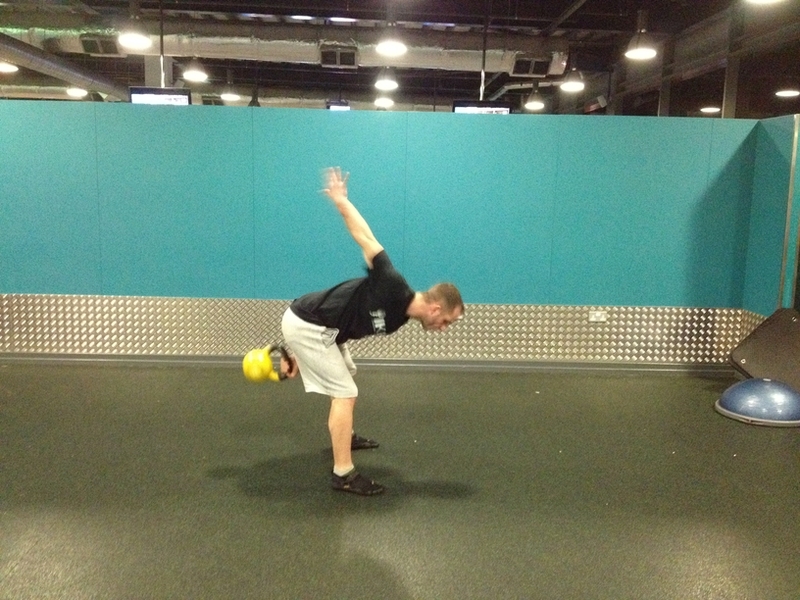 The way I predominantly use kettlebells is by coaching kettlebell specific exercises. By that, I mean exercises that kettlebells were specifically designed for, such as kettlebell swings, long cycles, snatches, cleans, push presses etc. All very technical exercises when done properly. Some people love them some people hate them, but you cannot deny that they are one of the most effective ways of training strength and endurance at the same time. Kettlebells is what happens when weights and cardio have a baby together. My approached when coaching kettlebells is based around three main things. First it is important to understand that most classic kettlebell exercises require momentum, therefore, you can expect to be able to move a heavier kettlebell than you would a dumbbell. Next, it is all about efficiency, moving the kettlebell around your body in the most efficient way possible in order to last longer, so while its ok to do kettlebell swings with a quarter squat each time, reducing the depth of the squat will save your quads from tiring prematurely and allowing you to last longer doing swings, as an example. And thirdly, once I have coached you to do the first two points properly, the third will happen naturally, that being fluidity. It is easy to tell an experienced kettlebell lifter from an inexperienced one, not because of the movement pattern, but because of how fluid the actual movement is. Otherwise known as KCR, this is something I do to clients who want to release tension throughout all the key areas in their body. I would take you on a physio bed and perform a series of light mobilisations in order to ‘release’ that area up. It normally takes around thirty minutes to do this and it is something my clients like to do every so often to keep their body functioning well for everyday life or for their chosen form of exercise or sport. Note that this is not to be done if you are pregnant. If you are injured or coming back to training after having experienced illness, training can make the difference between you feeling yourself again and not. My core belief when it comes to injuries and training is that, depending on the severity of the injury, you can always train around it. So if you have an injured ankle, this does not mean you need to cease all exercise, but rather we work together to find a way of training around it. Why let your whole body suffer from an injury when it is only in a small area? There is always a way to do this. I am not a physio, but I know the steps that need to be taken to nurse an area back to health, sometimes this means collaborating with your physio or doctor to take the best course of action. Exercise and movement do not need to stop during and after pregnancy, but the way you do it needs to have greater consideration than before. The good news is that a lot of the stuff women can do before pregnancy, is probably ok to do during and after, BUT, not all. I have worked with many pre-natal clients to keep them in the best shape they can before giving birth and the same for post-natal, helping women regain amazing levels of fitness afterwards. 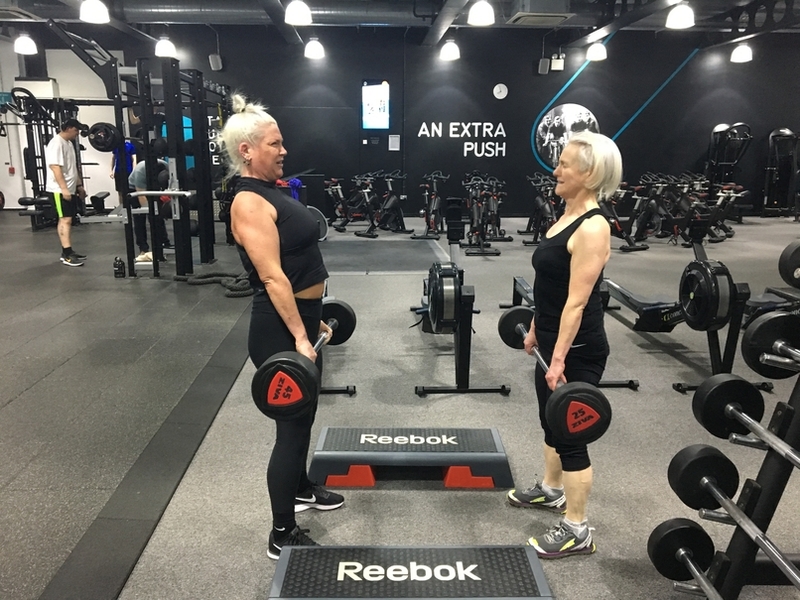 I do this by gradually changing the way I would train them leading up to childbirth and then after, through means of various exercise progressions, aiming to take them back to where they were pre-pregnancy and even beyond.